When I joined Salesforce, the iPhone was only four months old and “apps” were ordered in restaurants. 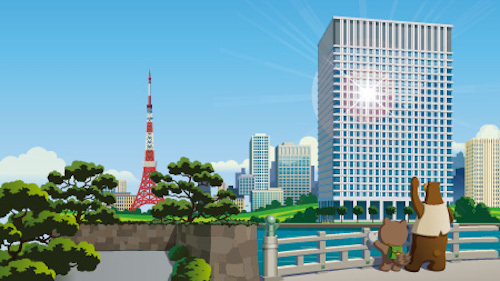 Nine years later, the AppExchange is the world’s largest and longest-running business app marketplace and, in many ways, one of Salesforce’s biggest differentiators—and I couldn’t be prouder of what we’ve built. In fact, IDC predicts that Salesforce and its ecosystem of customers and partners will drive nearly 1.9 million new jobs and more than $389 billion in new GDP impact worldwide by 2020. * The ecosystem around our platform is a huge part of what brings the Salesforce economy to life. We’ve always wanted to build something bigger than ourselves, expanding our influence beyond our employees and even our customers to extend success to entire communities. Our ecosystem makes that vision a reality. While revenue is obviously important, there are other aspects that make a company successful, and we take partner qualities like customer success and community engagement very seriously. Because of this, we’re introducing the AppExchange Trailblazer Score, which acknowledges companies for efforts such as taking part in trainings, events, customer reviews and adoption of the latest Salesforce new technologies. This new point-based system will take into account success on multiple levels (sales, total installs and install growth), as well as completed activities (Trailhead modules, certifications, participation in the Pledge 1% program, etc.). 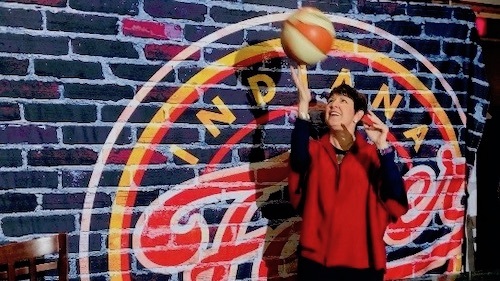 And to make sure we’re empowering businesses of every size and in every stage of growth to embrace growing opportunities in the Salesforce economy, we’re lowering percent net revenue—or the baseline revenue-sharing model for ISVs in our ecosystem—from 25% to 15%. This enables more partners to invest even more revenue back into their businesses. Partners are looking for ways get to market faster with their apps, and customers want access to these apps more quickly too. We want to help. So, we’re enhancing our onboarding tools and processes to better support partners throughout their journey from idea to AppExchange app. With our new onboarding wizard, ISVs and startups can access automated guides and checklists for joining the program, reducing manual data-entry to a few simple, click-through screens. Our new payment tools, including support for credit cards, Single Euro Payments and ACH (Automatic Clearing House), mean that partners can bill customers in the easiest and most direct way possible. And with the new AppExchange Partner Program dashboard, partners can see their Trailblazer score and their progress on the onboarding checklist at a glance. All of these tools mean a smoother, less manual onboarding process for partners and faster time-to-market to deliver exciting new apps. As we well know, it’s not enough to build a great app then sit back and rest. The AppExchange is an open and competitive marketplace, and constant innovation is a must. It’s one of my favorite things about AppExchange—competition gives our customers choices, and the resulting innovation means those choices get better and better. To help drive that innovation, we’re expanding the availability of Salesforce technologies that partners can use to build their apps, components, templates, data streams and more. With access to exciting new Heroku benefits, developers, ISVs and startups now have the choice to build on Force.com or Heroku, and receive a free developer org immediately upon sign-up. Additionally, Salesforce DX offers an entirely new way to manage and develop Salesforce apps across the entire lifecycle, increasing levels of productivity, collaboration and control for developers. To support the initiatives of the new AppExchange Partner Program and to encourage future innovation, Salesforce Ventures—our corporate investment group—announced today the launch of the Salesforce Platform Fund with $100 million in new funding. Following on the heels of last year’s fully funded (and highly successful) Salesforce Lightning Fund, we’re excited to see how this further investment will empower entrepreneurs and innovators to drive the development of next-generation intelligent solutions. 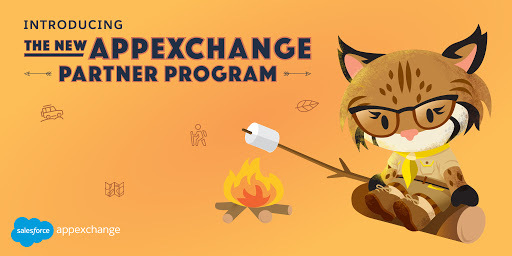 The market has changed, and the AppExchange Partner Program is addressing these changes to ensure we’re giving our ecosystem the tools it needs to succeed for the next decade of development. 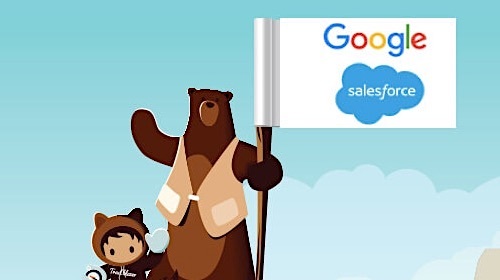 After all, it’s the ecosystem around our platform that makes Salesforce something bigger than we could ever be as a standalone company, and when it comes to the partners in that ecosystem—I can’t emphasize this enough—their success is our success. * Source: IDC white paper, August 2016, “The Salesforce Economy: Enabling 1.9 Million New Jobs and $389 Billion in New Revenues over the Next Five Years.” Ecosystem includes all companies that provide the products and services that surround a Salesforce implementation.